You can count on a tailored navy suit for a smart business look. 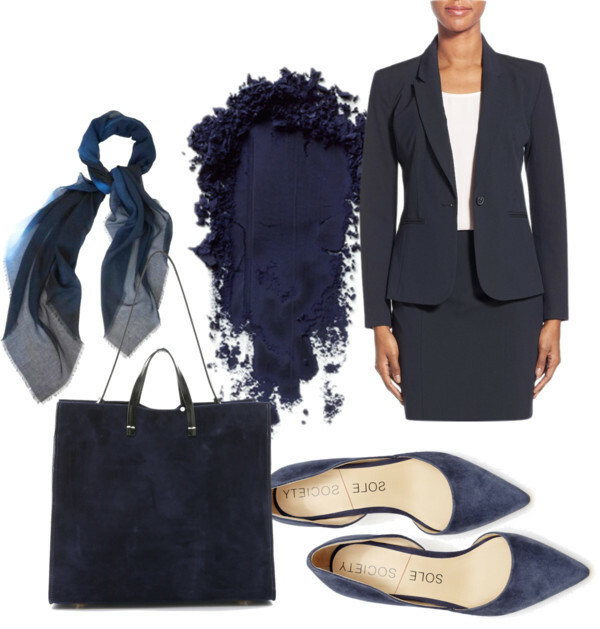 Navy is just as versatile as black but feels a bit more brisk and fun shall I say. I’m obsessed with pointy-toe heels at the moment. These pumps are must-haves for sure with easy to wear style (2.5″ heel) with affordable price tag. Available in 12 colors including navy.